Founded in Fall 2016, artistic directors Tavia Christina and Rachel Facchini had one goal in mind, to develop a creative outlet that would represent who the two are as creators, performers and individuals. The synergetic partnership is joined by the shared passion for the intersection of philosophical ideas and movement. Tavia and Rachel are inspired by the relationship between the body and mind and draw on various philosophical topics to inform their creative practice. They create dance that reflects their way of thinking in both highly physical movement and durational performance art work. Methodologically, Tavia and Rachel develop work by the use of improvisation and other movement invention tasks. Their work often begins from a place of academic research and then meets the study to apply the learnt information into the physical body. The final work is not necessarily a projection of the philosophical topic but rather, a landing of the information and its adaptation to the body. Near&Far Projects’ goal is to continuously grow and evolve as dance artists. Tavia and Rachel challenge and push themselves to discover new information in and outside of the dance studio. Some of NFP's credits include: Long Winter Toronto - Irritation Cycle - Dec 2016, covered & coated - Feb 2018, Ryerson University’s - Kaleidoscope Launch Party – March 2018, New blue Dance Festival – This is Where it Starts – June 2018, NFP Art Party – In A Loop – Feb 2018. Annual Web Series including short films, Cutting Glue, oh, my god! and, washed up/carried away. In January 2017, NFP produced an informal showing, A Timely Paradox, including two new works with dancers and actors; Kunzite and Two Truths and a Lie. NFP has collaborated with London, UK based dance artist, Ellen Gordon of Torgan Dance Co., to develop a new solo work Reaching Restrictions, which premiered in December 2017, in London UK. Jamie Fascinato is an emerging artist in Toronto. She is currently in her last and fourth year at Ryerson University in the BFA Performance Dance program. Coming from a rigorous ballet and highland dancing background, Jamie is finding new ways to approach and carry dance within her body and others. Through this development she has been involved in many different summer programs including but not limited to Toronto Dance Theatre’s Summer Intensive, Kenny Pearls Emerging Artist Intensive and ProArteDanza’s Summer Intensive. Through these programs Jamie has had the pleasure to work with Tori Mehaffey, Darryl Tracy, Rosemary James and many others. This summer 2018 she will be travelling to New York to study with VIM VIGOR in their summer intensive program to dive into the world of contemporary dance theatre. 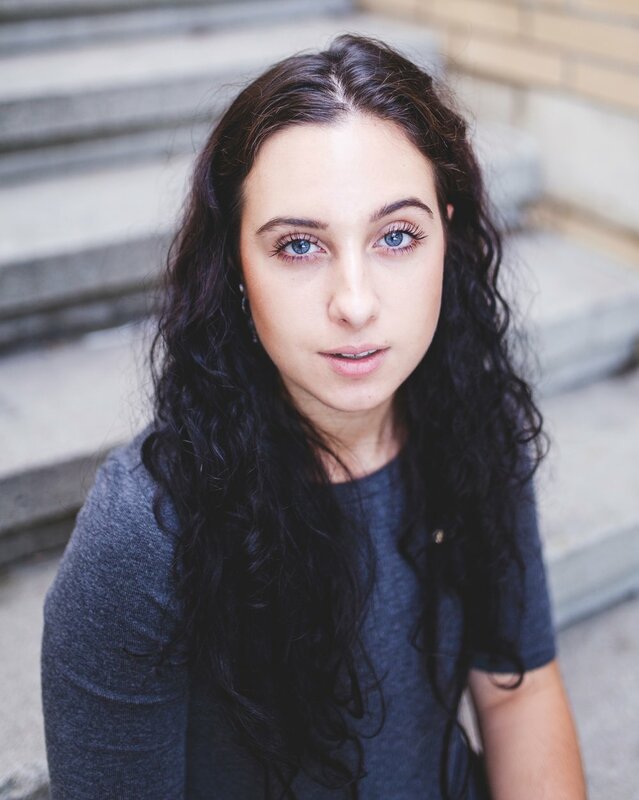 Brianna Clarke is in her third year at Ryerson University for their Performance Dance BFA program and teaches regularly at Elite Danceworx as a faculty member. Her previous training includes 8 years of competitive dancing at Leeming Danceworks, where she worked closely with established choreographers such as Linda Garneau, Matt Luck, Stephanie Rutherford, Hani Abaza, David Norsworthy, and Kristen Carcone. Most notably, she has presented full length works by Emma Portner, Irena Ponizova, and Sophie Dupuis. Brianna has spent many summers participating in intensives including The School of Alberta Ballet, Arts Umbrella, Rutherford Movement Exchange, Ignite, Fresh, and NYCDA. She has completed multiple jazz and ballet exams at advanced levels and continues to strive for a balance of technique and artistry in her dancing. Hannah Robertson began her training at Artsumbrella in Vancouver, B.C. under the direction of Artemis Gordon. Here she also had the opportunity to work with Gioconda Barbuto, Lesley Telford, Lara Barclay, Eric Beauchesne andmany others. After graduating from high school, Hannah moved to Toronto and began her BFA studies at Ryerson University. She has attended the San Francisco Conservatory of Dance for their Gaga focused summer intensive where she had the pleasure of working with Tom Weinberger, Bobbi Jene Smith, Alex Ketley among others. She has also had the pleasure of attending RUBBERBANDance Group’s summer intensive. Shaina is an aspiring performing artist currently training at Ryerson University in the Performance Dance Program, with the graduating class of 2019. She is extremely fond of movement research, as well as exploratory artistic work involving physical and vocal components. Having worked with a wide variety of choreographers (including Tori Mehaffey and Matjash Mrozewski) she has a certain eagerness to embrace everything she has learned and put it into practice. Now working with Near & Far Projects, she believes she will be able to work vigorously as a creator, with some very inspiring and admirable individuals. Marrin Jessome grew up in the Annapolis Valley, Nova Scotia and began dancing at the age of 11. After realizing dance was her passion she moved to Toronto to continue pursuing her dream at Ryerson University in the Performance dance program. Marrin's interests lay in collaboration, inspiration from other artwork, and music.